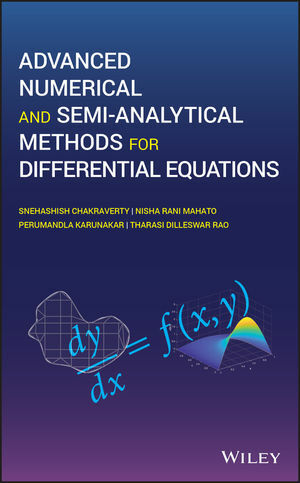 SNEHASHISH CHAKRAVERTY, PHD, is Professor in the Department of Mathematics at National Institute of Technology, Rourkela, Odisha, India. He is also the author of Fuzzy Arbitrary Order System: Fuzzy Fractional Differential Equations and Applications and 12 other books. NISHA RANI MAHATO is a Senior Research Fellow in the Department of Mathematics at the National Institute of Technology, Rourkela, Odisha, India where she is pursuing her PhD. PERUMANDLA KARUNAKAR is a Senior Research Fellow in the Department of Mathematics at the National Institute of Technology, Rourkela, Odisha, India where he is pursuing his PhD. THARASI DILLESWAR RAO, is a Senior Research Fellow in the Department of Mathematics at the National Institute of Technology, Rourkela, Odisha, India where he is pursuing his PhD.